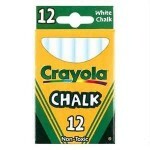 Plastic handle 140mm x 50mm. 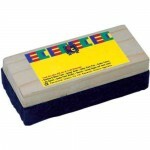 Excellent for classroom use this substantial duster has a large plastic grip section. 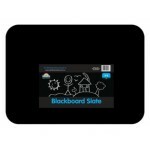 ..
1m With Handle and Measurements ..
Large 300 x 400mm sturdy blackboard writing slate.Rounded corners for safety.Mounted on quality MDF for extra strength. 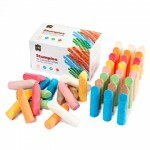 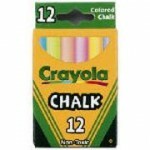 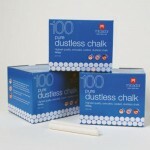 ..
Chunky Chalk - 40pc "Stumpies" ..
Chunky Chalk - 160pc "Stumpies" ..
Colour Chalks (Bright) Assorted - 100pc Chalk residue falls down the board rather than floating through the air - this is one of the safest, cleanest and highest quality chalks available. 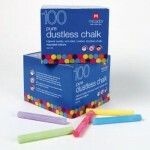 Pure, natural, high quality ingredients and careful manufacturing process create a chalk that is extremely ..
Colour Chalks (Bright) White - 100pc Chalk residue falls down the board rather than floating through the air - this is one of the safest, cleanest and highest quality chalks available. 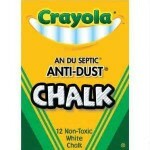 Pure, natural, high quality ingredients and careful manufacturing process create a chalk that is extremely den..